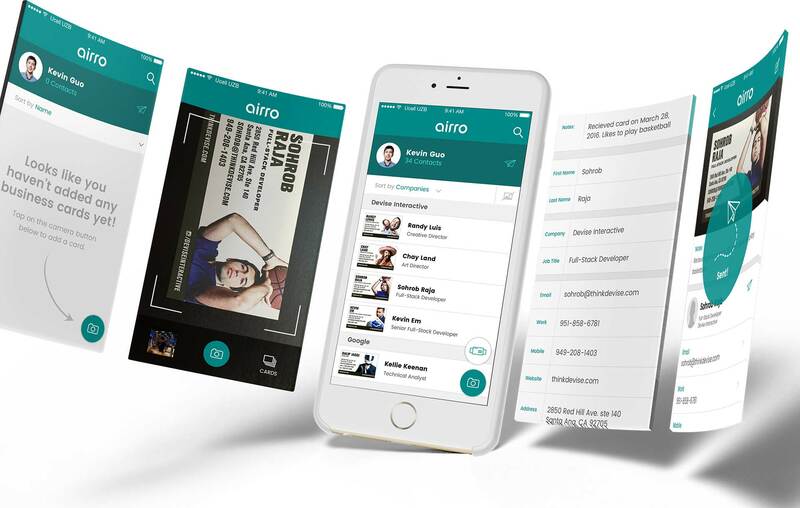 Say “goodbye” to your inconvenient stack of business cards and let Airro create a digital Rolodex that you can access from your mobile device, anytime and anywhere. 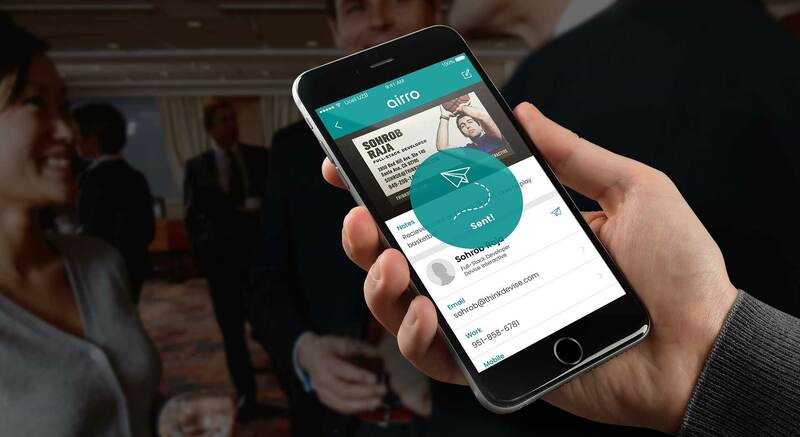 With the ability to organize and share professional contacts, Airro makes connecting simple. 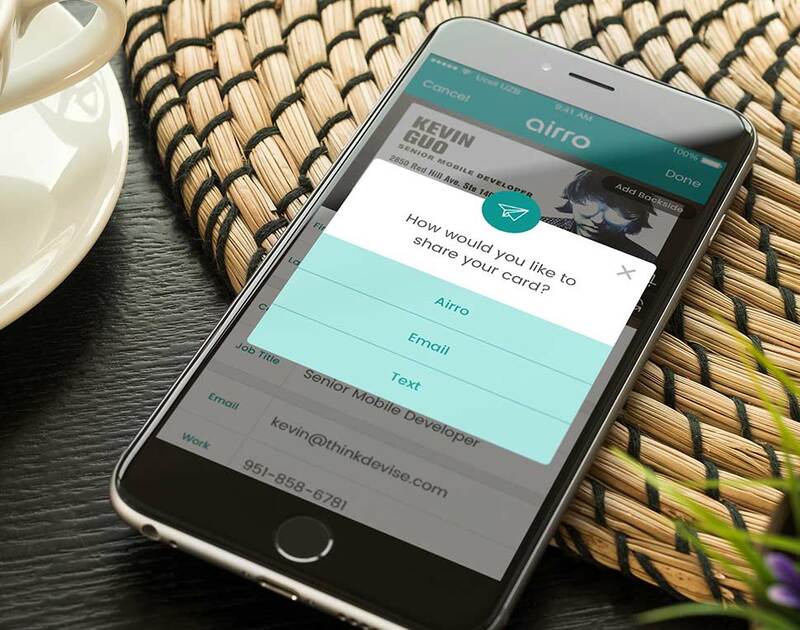 Devise Interactive helped Airro define the native functionality of their program and built out an optimized, easy-to-use, application for iOS. 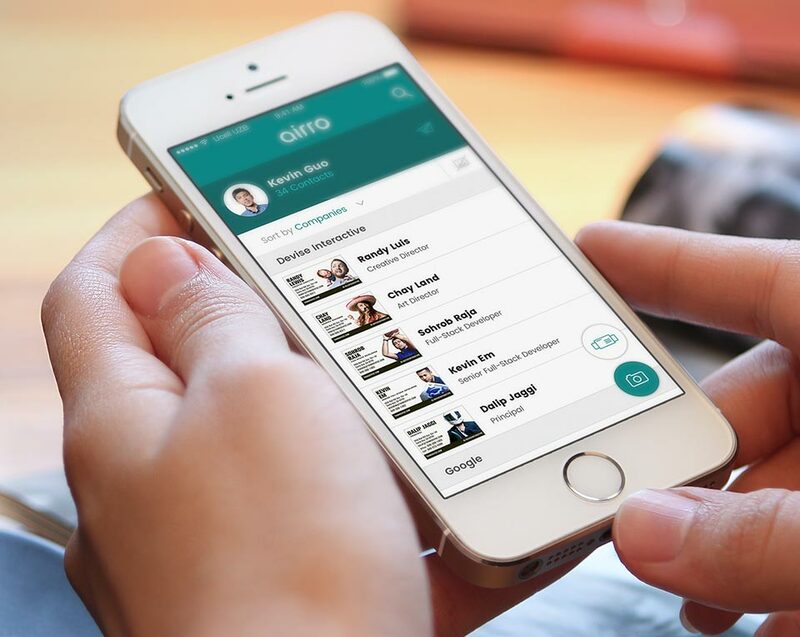 Devise worked closely with the Airro team to develop the software, while also updating the company’s brand and refining the mobile user experience. Devise transformed the concept of Airro’s previous web compiler into a mobile application. The shift in platforms made the app less cumbersome because it now utilizes the customer's mobile device as a scanner and storage location. Using Optical Character Recognition (OCR) technology, Airro is able to detect the edge of the document and from there, extract and repurpose data such as first name, last name, address, phone number and email address. The business cards are listed as separate contacts, or can be swiped through in a slideshow format. Airro’s existing design and color scheme inspired our designers to maintain a sleek, minimal identity that attracts the modern professional. Our engineers implemented new technology that analyzes the scanned image and relies on character recognition to streamline data entry. Download the app in the app store and test it out for yourself!